Multilateral lending agency Asian Development Bank and Japan will extend support, including financial assistance, for initiatives to improve skills of low-income women entrepreneurs in India. "A grant of $3 million from the Government of Japan-financed Japan Fund for poverty reduction, administered by ADB, will be used to help women entrepreneurs," Asian Development Bank said in a statement on Wednesday. The funds would be used to help women entrepreneurs in Madhya Pradesh, Maharashtra, Orissa, Rajasthan and Uttar Pradesh. "The grant will be used to train up to 1,200 low-income women entrepreneurs in financial literacy, business management and other skills," the statement said. Further, assistance would be given to Small Industries Development Bank of India and its partner micro finance institutions to review and revise their gender policies and practices. According to the multilateral lending agency, the grant is linked to the ADB-financed Micro, Small and Medium Sized Enterprise Development Project. "Additional funds of $108,000 from the Government of India and $106,700 from beneficiary communities will be provided for a total grant cost of $3.214 million," it noted. The grant would be disbursed over three years to 2012, with the Finance Ministry and SIDBI as the executing and implementing agencies, respectively. "The target group will be women whose businesses have outgrown traditional micro finance support, but who are unable to access more conventional bank financing...," the statement added. 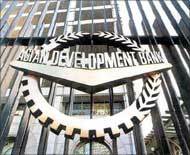 ADB said the project has many features, including the establishment of a rating system for micro businesses. "Helping micro finance institutions develop strategies to mainstream gender issues and approaches in business development will nurture women's micro enterprises, resulting in self-sufficiency which can stabilise poor families," Francesco Tornieri, a Social Development Specialist (Gender and Development) at ADB's South Asia Department, said.